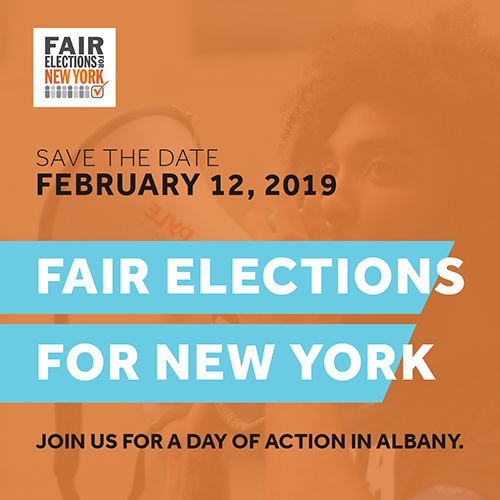 On February 12th the Fair Elections Coalition will have buses leaving from White Plains, Newburgh and Kingston headed to Albany for the Fair Elections Day of Action. Register to Get On The Bus To Albany as buses are filling up fast! It’s time to reject the big-money status quo and make people the most important currency in Albany. We must protect and expand the freedom to vote for every eligible New Yorker and pass comprehensive campaign finance reform, including a small donor matching system. Register to Get On The Bus To Albany! It’s time to make Albany work for all New Yorkers, not just big donors. To tackle the crises we face in housing, living wage jobs, criminal justice, affordable health care, transportation, climate, fair taxes, and more, we must transform a campaign finance system that advantages the interests of the few over those of the many. We must make fixing our democracy the first priority in Albany. Space is limited so register to Get On The Bus To Albany!